We often see code with conditionals that are hard to understand. The purpose of this technique is to make the code look readable by extracting a function with the condition. It will be easier to test the code if the condition is extracted and injected as a dependency. This is a codecast in Java. In the previous episodes we reach the moment when we extracted one simple class. We used the The Rule of Three and pure functions. This newly extracted class is covered with characterization tests. Then we wrote some unit tests in the following episode. But some of the behavious seemed strange, and we thought they might be bugs. Because we are never sure when working on existing code if some behavior is a bug or a feature, we want to document all the suspicious cases. In order to do that, I am presenting three methods: use an annotation, prefix the test, use a different class. Bug or feature? Check out the codecast to see all of them in action. Read here more about this concept in my blog post. When we document defects with tests it is a good idea to group all the tests documenting possible bugs one after the other. The discussions with the business persons are easier and you do not need to search the next test again and again. Always discuss with business persons before changing the code. 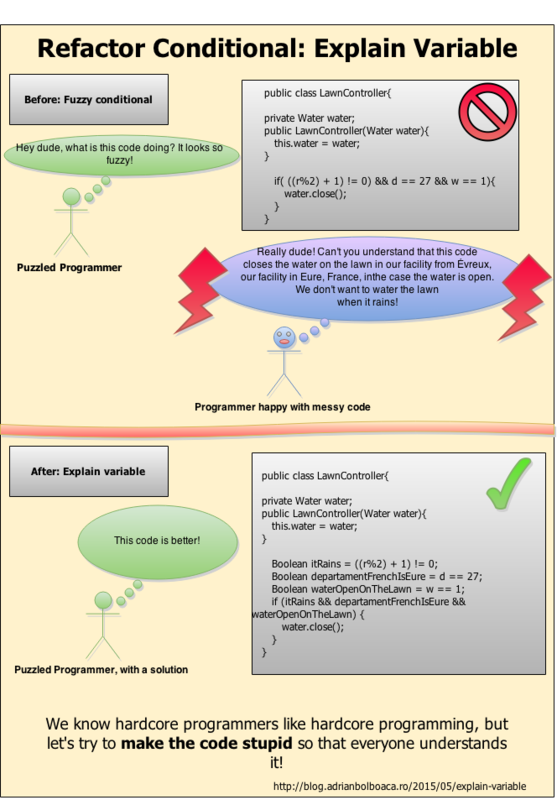 Often one might think they understand what the code does, but the situation if often very different in practice. Think to verify every detail with business analysts before changing the existing code. In the previous episodes we reach the moment when we extracted one simple class. We used the The Rule of Three and pure functions. This newly extracted class is covered with characterization tests. But that is not enough, we want to continue adding other types of tests to understand the system better. This is why during this episode you will see how to add unit tests to code extracted from a legacy code class. These tests have a small granularity level than the characterization tests we already have. This is the moment to dive more into details. See this video to understand how you can document the current state of the system, by unit testing on legacy code. We started with a class having non-public methods. The purpose of this session was to start covering the class with tests. In this moment we have short and clear unit tests, written in isolation of any slow dependencies. These tests are fast and we need to run then any time we will change the production code, to make sure we do not introduce defects. In the same way as shown in the last blog posts, we can extract pure functions, extract classes and then cover these classes with unit tests. This is a code cast in Java. In the previous episodes we restructured some parts of the code base. We also extracted pure functions and applied The Rule of Three when restructuring the code. Because we have extracted some pure functions, now we need to think if those pure functions belong to new classes. So we structure the functions in a way that they belong together from the point of view of their responsibilities. After structuring the functions we extract the class. Learn from this video how to extract a class in legacy code in such a way that you do not introduce side-effects to the existing behaviour. 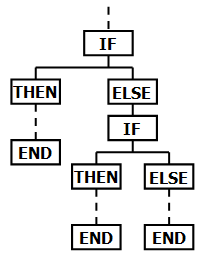 When refactoring legacy code we need to make sure the structures we extract have a correct meaning. This is why The Rule of Three is very useful: extract to a new structure only when you find an identical duplication three times. Usually we do not have identical duplication, so in that case we need to make the duplication clear, check that it exists three times and only after that perform the extraction. This code cast will show you also when it is not a good idea to extract a new variable, even if you see it duplicated many times. This is a mechanical kind of refactoring, but reasoning is very important even when we want to get fast by getting mechanical refactorings into our tool bag. In the first episode we wrote some characterization tests with the purpose to create a basic safety net. Now we continue to refactor the code, starting from there. We already have some tests running and we want to have methods that do only one thing; we want to apply the Single Responsibility Principle. A really good tool that can help is using pure functions. We extract functions, make them static and then make sure the function does not have any side effects. These functions help me clean the code and help me start structurig the code according to clear responsibilities. At a later time we will extract all these functions that have similar responsibilities to a new class.